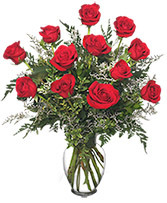 Longing Caress Floral Design in Atascadero, CA - ARLYNE'S FLOWERS & ETC. 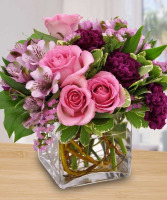 Purple roses, carnations, and alstroemeria in a glass cube vase is sure to make your loved one feel special! 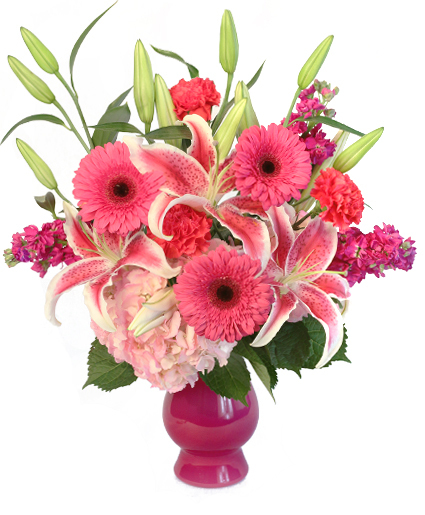 A plush bear in a basket with daises, carnations, roses, and greens. For other options on stuffed animal, give us a call directly!